The title is pretty self explanatory. 365 hours after we lost our power, it finally returned. HIP HIP HOORAY! Stop by my blog and check out my first giveaway .. adorable!! 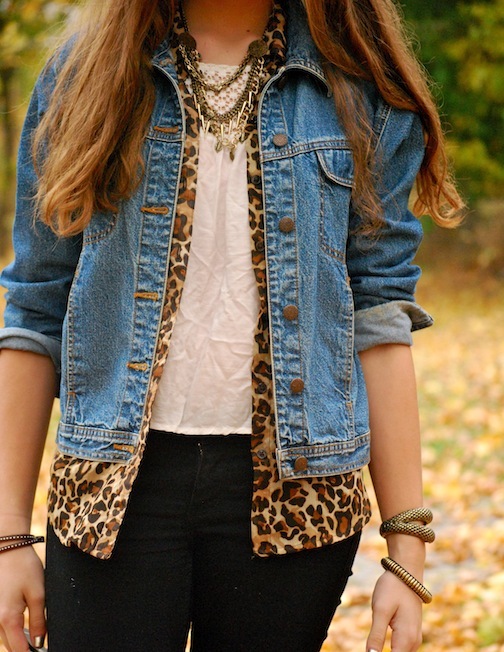 i love the little bit of leopard under your jacket. 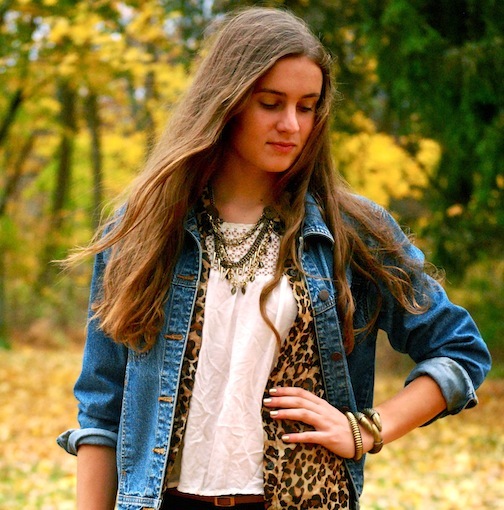 I love how you layered the cheetah print and denim, super cute! So cute, i LOVE your outfit! That necklace is so neat and spiky. I bet you could seriously injure people with that. I mean, uh. It's stylish and cute and don't go around injuring people with it, okay? That's just my inner dictator speaking. Love your outfit ! Your style is great ! What a fantastic layered outfit. 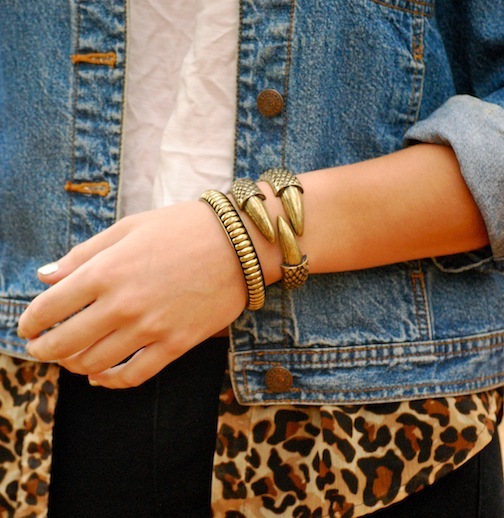 The leopard shirt and cuff bracelet are my favorites! You pull off denim so seamlessly! !